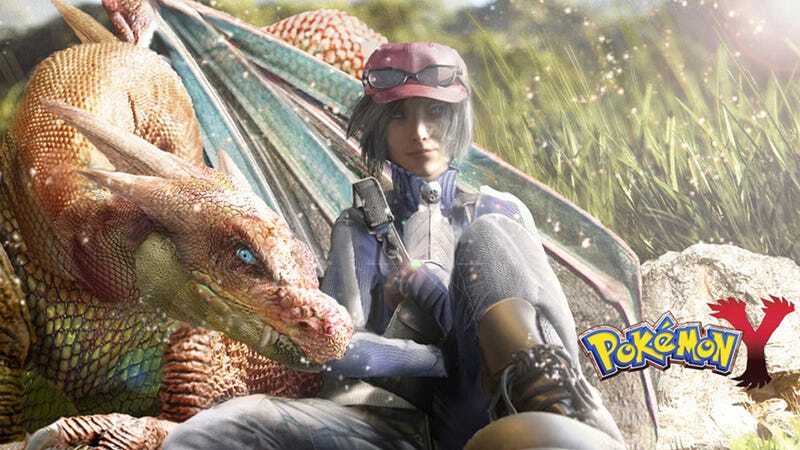 Whoa, Mega Charizard Y and male protagonist Calem from Pokemon X & Y just got a hundred percent more realistic and detailed thanks to the talented deviantART artist Charlie Romeo. So much so that at first it seems more like Monster Hunter or Final Fantasy fan art, and not something inspired by a Nintendo 3DS game. Dayshot is an image-based feature that runs every morning, showcasing some of the prettiest,funniest game-related screenshots and art that we can find. Send us suggestions if you'vegot them.